A preliminary proxy statement filed with the FCC last week by MetroPCS is yielding all sorts of interesting info on their proposed deal with T-Mobile. In fact, the most notable piece of information might be the date talks began, just two days after the deal with AT&T fell apart. That means that Deutsche Telekom and MetroPCS began discussions on December 21st of 2011. Also contained in the filing is a list of companies that pursued a merger/acquisition of MetroPCS before the announced deal with T-Mobile. This includes Dish Network, which attempted to buy the company for $4 billion or $11 a share, to be paid in 30% cash and 70% stock. Dish was referred only as “Company C” in the filing and determined to be Dish Network by people “familiar with the matter.” According to the filing, talks with Dish fell apart in August. Meanwhile, another company that came close to picking up MetroPCS was Sprint, which was said to still have interest in acquiring MetroPCS right up until the deal with T-Mobile was announced. Sprint’s interest in MetroPCS was continuing even as they were working on their own deal to sell a 70% stake in the company to SoftBank Corp. Furthermore, the filing highlights that MetroPCS came close to being acquired by “Company G” in late February, but the deal was put down by the proposed company’s board. Accordingly, several news outlets reported in late February that Sprint CEO Dan Hesse spearheaded a deal to grab MetroPCS and was shut down by his company’s board even while offering a 30% premium over MetroPCS’ share value. When Sprint execs learned that a deal with T-Mobile was close, they reportedly expressed hope that “any break-up fee payable by MetroPCS to pursue an alternative transaction would be reasonable.” Sprint hoped their influx of new capital from Softbank would allow them to grab MetroPCS a second time around. As for moves MetroPCS took on its own, it worked to purchase different chunks of spectrum from satellite companies on two separate occasions back in early 2011. Neither of those deals obviously came to fruition. The filing also indicates that MetroPCS attempted to purchase spectrum from another wireless carrier, only identified as “Company E,” but that company later sold spectrum to another party. 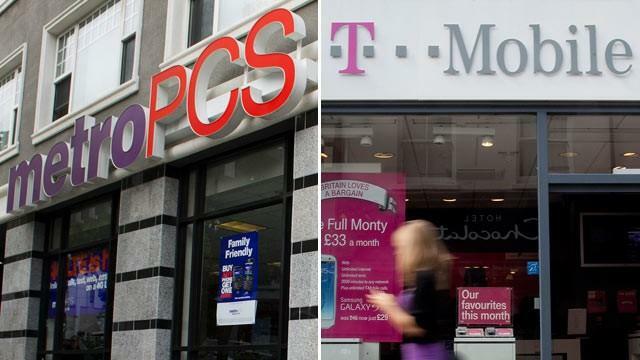 The proxy statement highlights that as recent as mid-September, MetroPCS and T-Mobile USA were still working on the fine print of their deal, including how the executive teams would look for the merged company. Deutsche Telekom told MetroPCS executives during the second week of September that they had hired a new CEO for T-Mobile and wanted him to the CEO of the new company, leaving Braxton Carter, the current MetroPCS CFO to become CFO of the combined company. That would allow Roger Lindquist, the current MetroPCS CEO to be non-executive chairman of the new board. I don’t construe this as wanting to “get rid of us,” only trying to combine T-Mobile with another entity post AT&T to strength its position. Lol people have reading comprehension. I don’t see why they think they are getting rid of us when T-mo is the one buying MetroPCS. DT’s apparent ‘desire’ to get out of the US has been overstated to DEATH. I don’t know how many interviews DT have made since the at&t break up that they are committed to the US market. Combining at&t and t-mobile made good business sense. It would actually make DT stronger in Europe…. it was NOT a sale to cut it’s losses. As the proposed combined at&t/t-mobile would grow, DT would have reaped the benefits. DT could have cut it’s losses anytime now. They could have sold to Dish, Google, and even Softbank! There are options out there if they wanted to get out of the US. People also need to put into perspective that, never mind overtaking at&t, if T-Mobile adds just a NET 5 million customers or so that increases the total value of DT greatly. T-Mobile is struggling but still a big player. They always wanted to get rid of us. It will be just more slowly with Metro as they will sell the shares of the new company overtime versus a huge payout and an 8% stake in att. Business is business. I don’t mind that management IMMEDIATELY started working on their next move. As we can see , these things take time. Two wrongs, Tmo & Metro, do not make a right. Desperation is a sad thing to witness. Rebound? feeling vulnerable? Well played Metro PCS. Woah T-Mobile that sounds kind of slutty. Oh but that’s ok, I’m fine with that. I was just about to say. Perhaps T-Mobile found itself to be much to irritable around AT&T and decided to go after someone more down to earth rather than marrying money even before the they parted! Very tough business to be in especially when your dealing with companies like Verizon and AT&T. T-Mobile is looking to get some clout behind their brand. I think this new deal with Metro is very exciting and clever. T-Mobile will gain a LTE Network in it’s infant stages. I’m not leaving T-Mobile, I’m very happy with their service and their speed. They are in the process of doing some great stuff with the HSPA+ 1900 radio. Bring it on T-Mobile. I’m very happy with hspa+ speeds I am getting. But I understand in order for Tmo to gain new customers they need LTE. Because let’s face it. Thats the only thing people care about. Higher number and newest tech. And people don’t want EDGE, they want HSPA+ in rural areas! I would love something better than EDGE where I live. So much for there not being a “Plan B” so we were told. We the employees aren’t stupid. Makes you wonder if T-Mobile is’nt already talking to Sprint/Softbank as well in case this deal falls through. But would MetroPCS be chased by Sprint? They are going to do what they are going to do no matter what. Give me good service for a decent price and I’m happy honestly. I don’t have stock but I know how business works and mergers and acquisitions happen, as long as the offer decent service, phones and prices for my price range I’m good. I went from the Dash to the G1 to the Mytouch 3G to the Mytouch 4G to the GS3 and Tmo service has continued to get better since they stopped piggy backing off of AT&T and got their own towers where I live in California. This is a job for regulators and it’s a worry for investors it only affects customers on the back end with pricing and bargaining power. Sprint and Tmo have the best prices/deals but spotty service where I live. Verizon is the most expensive but has the widest and best coverage (based on what what I see online and hear form people I know personally over the years). Give me unlimited everything for close to $75 a month and you got me. I use my phone for everything so to each their own but I say $75 is fair. There are plenty of services that offer bargain prices (boost, cricket, solevei, us cellular, metro, etc) but coverage and phone offerings aren’t as good across the board. I live in California and I despise att and Verizon is too expensive. Tmo and Sprint have the best pricing options for me, been looking more into Solevei and other services like it lately but coverage is important. I’d rather pay a little more and have better coverage than save a dollar and get stranded with no coverage when I need it most. The significance of these “revelations” is that the Plaintiff shareholder lawsuits, alleging MetroPCS did not try to get the best price, did not seek other suitors, that the deal blocks out potential suitors, etc., well… this information kind of sheets all over those theories. And the Plaintiffs can beech about compensation tops dogs will get as parting gifts, but that’s never been improper, unless the money is outrageously high and the product of back-room dealings, neither of which exist here, IMO. These Plaintiffs apparently think they have gold to sell, but on opening the box it appears to be filled with copper, at best.